The Empire State Performance Rally, held last weekend, is currently the only tarmac rally event in the United States. In his first rally comptition ever, Greg Roumiantsev was the overall winner with Zsanett Martaine Fabian as his co-driver. 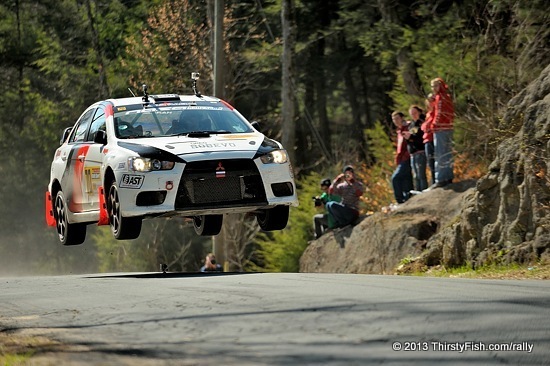 You can see more of the winning Mitsubishi Lancer Evo 10 in flight on the ThirstyFish rally page.